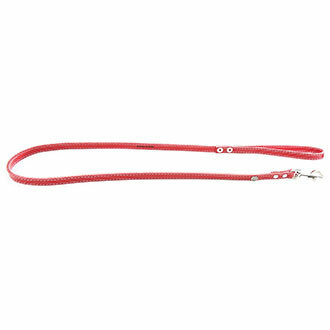 Red leather lead for dog. Classic leather stitched with plate. Leave classic leather stitched cut franc. Rivet mounting. Carabiner carbine. Leather full flower. Made in France.